We just loved everything thing! The apartment is big, has everything you could possibly need and is spotless clean. And above all it has the most beautiful view of the bay. The apartment is exactly like the pictures and we even got the welcoming wine, huge fruit plate homemade biscuits. 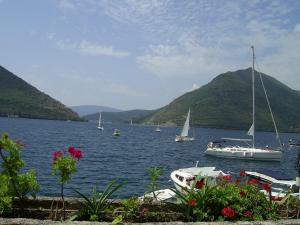 Highly recommended, and we will definitely stay there again, if we ever have the pleasure of lovely Perast again. Thanks for letting us stay! Perfect! Hostile and helpful owners. Location - next to the sea, and city center, with private parking place. Comfort, clean and cozy, everything was just perfect! Magnificent view. It cannot get any better than this. The apartment is perfectly placed in the city with its own quay 5 meters from the house and with several excellent restaurants within 200 meters. Relaxing. Very nice hosts. Thanks. The village is amazing! You could not stay in a better location in the village. Apartment was well equipped & very spacious it had everything you could possibly want & 2 balconies with the best views of Perast. I think the house is an old palace so was really special. The owners mother had left us a massive bowl of fruit & baked us some lovely pastries & also a bottle of wine & she was lovely. Beautiful apartment, fully equipped with everything you could want and spotless. In a perfect location. Very friendly and helpful owner. Couldn’t want more. Borislav (Owner )collected us from Dubrovnik airport and he and his mother could not have been more helpful. 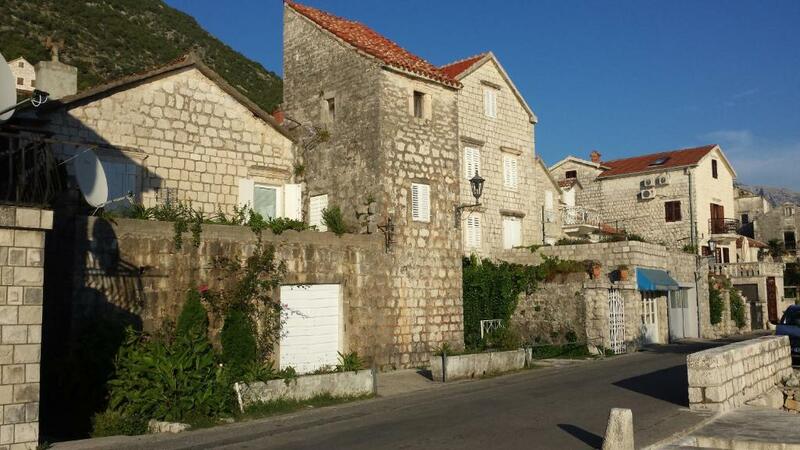 Accommodation was excllent for myself and 2 adult children - each had our own sleep areas and Perast is stunning we adore the area and would come back. The apartment is so nice and clean with a fully equipped kitchen and bathroom. The view from the balcony is fantastic, rooms are comfortable, 5 meters from the beach and from many restaurants- everything was super! Thanks again for the hospitality, for the wines and fresh fruits and for the home-made cakes upon our arrival. This house is splendid! There is no words to describe the beauty of the view from the terrace. 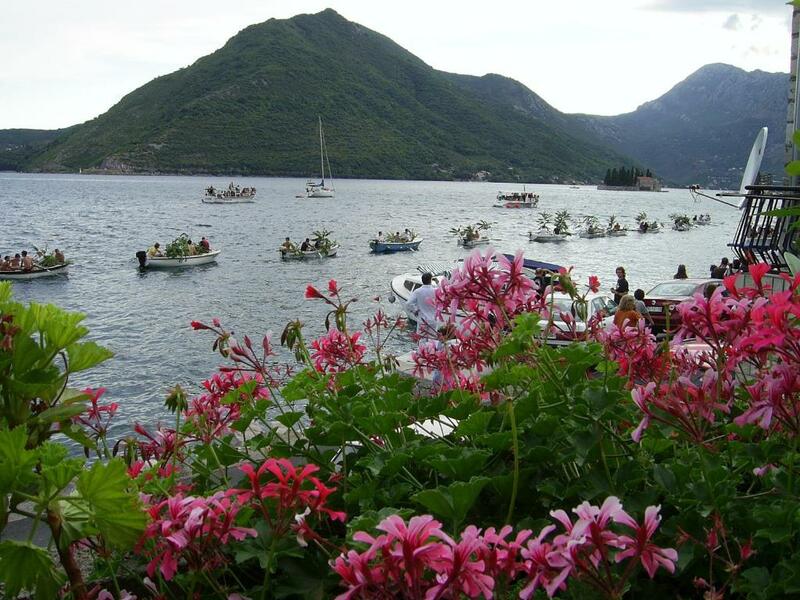 It is at the center of Perast, yet very quite. Ideal place to read books, and enjoy the sea. The hosts are very friendly, extremely gentle, and always smiling. The kitchen was very well equiped, we found everything we needed. Every room has air conditioner. Wifi was fast. If I come near the Kotor Bay again, I will definitely choose the same house to stay. Definitely recommend to everyone! Thanks a lot to our gentle hosts! Lock in a great price for Apartment Kula - rated 9.8 by recent guests. 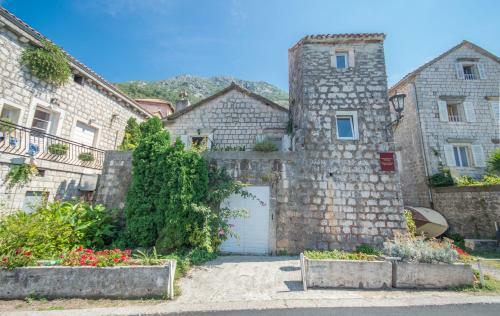 One of our top picks in Perast.Set in a traditional stone house right by the sea, the air-conditioned Apartment Kula has free Wi-Fi and 2 large terraces boasting splendid views of the Boka Kotorska Bay. It also has free parking and a private little stone beach area. Guests can relax in the spa bath or use the exercise bike in the apartment. A flat-screen cable TV is featured as well, while the kitchen includes a microwave, dishwasher, coffee machine and a round dining table. Barbecue is available on the terrace. 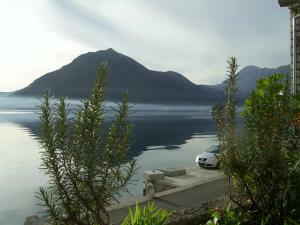 Centrally located in Perast, the apartment is only steps away from the nearest restaurant and grocery shop. UNESCO-protected town of Kotor is about 9.3 miles away. Apartment Kula has been welcoming Booking.com guests since 13 May 2013. When would you like to stay at Apartment Kula? Featuring a spa bath in the bathroom and a furnished terrace with barbecue, this air-conditioned apartment comes with a large flat-screen cable TV and an exercise bike. The kitchen includes a microwave, dishwasher, coffee machine and a round dining table. House rules Apartment Kula takes special requests - add in the next step! Apartment Kula accepts these cards and reserves the right to temporarily hold an amount prior to arrival. Please inform Apartment Kula in advance of your expected arrival time. You can use the Special Requests box when booking, or contact the property directly with the contact details provided in your confirmation. There is no shower cubicle if you want a quick wash, only a spa bath with a hand held shower. Recommend that a shower bracket and curtain be fixed to the wall. The visit was early in the season and so the apartment needed heating - our issue not the fault of the host. Great host, Mr Borislav and his mother met us personally and handed us the keys. We were welcomed with some home baking and a bottle of wine! Great location and parking is also provided at the property. The host immediately resolved the cool apartment temperature. We could not fault the place, it was ideal for us. The apartment is in an ideal position, just across the road from the water, car parking was close to the apartment and the village is quiet when the tourists go home. Above all our host was very welcoming and friendly. 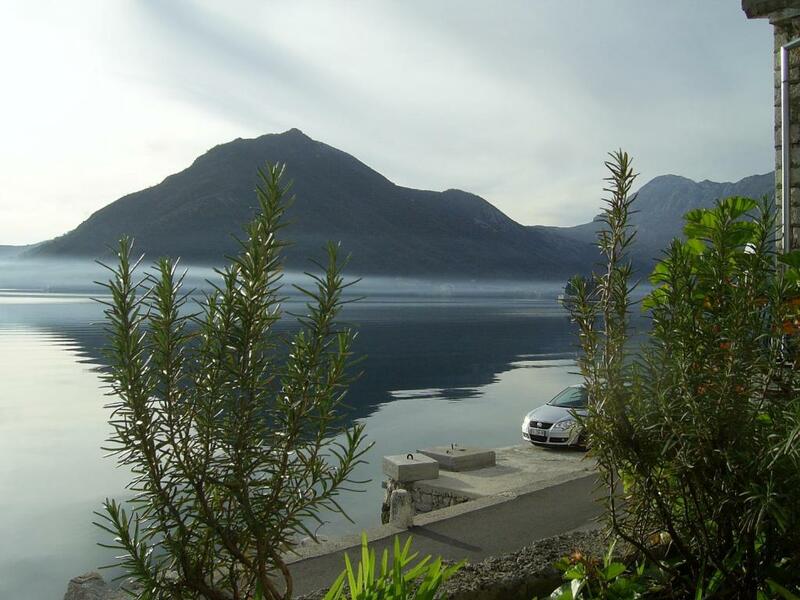 Cars are not allowed in Perast city. Let's say it took some time to persuade the guards to open the gates and let us in even though this apartment has a private parking lot. Driving to the apartment was not possible. The parking areas at either end of the village are far, so it was a sweaty walk with luggage. There is no sign for the apartment so it is difficult to find. 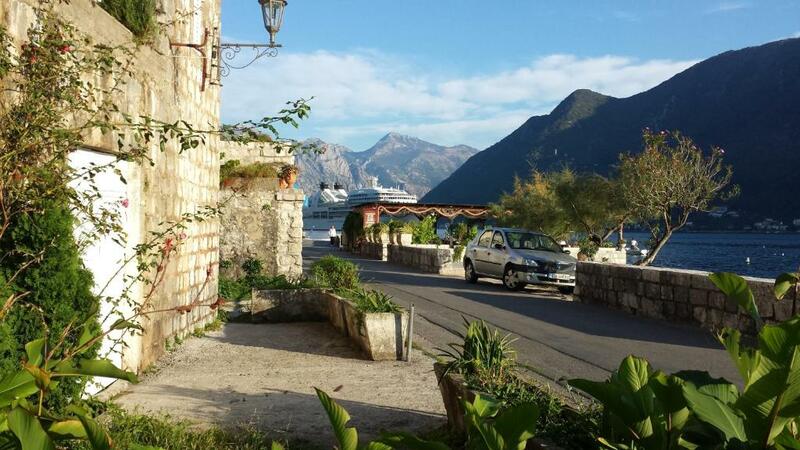 Perast is mainly car free so it can be tricky negotiating with the local guys to open the barrier. Beautiful old apartment in the heart of Perast. Lovely friendly owners who were very helpful and baked us fresh bread and biscuits. Really well equipped apartment with all appliances. Lovely balconies giving amazing views over the bay. Shower was part of a lovely jacuzzi bath, was hard to use as linked into the bath controls, hard to control temp, would benefit from a shower on the wall & a curtain just for speed & washing hair but wouldn't stop me staying. I'm a frequent guest in Perast, but this year there were more works in town in May than usual, but I hope that by the beginning of the season it will be over. The apartment is really wonderful place. Highly recommended!